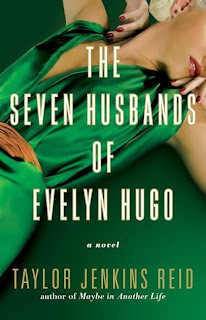 I'll just put it out there now – this will be an unpopular opinion of The Seven Husbands of Evelyn Hugo. I just wasn't a fan and in fact, if not for TJR's name on the cover, I would've thought this was written by a completely different author. The writing was a total departure from the nuanced characters and fresh, thought-provoking perspectives she usually brings to the table with her books. Instead this was just one awful stereotype after another and filled with what felt like glaring PSAs on every other page. Basically, famous Old Hollywood actress Evelyn Hugo is ready to share her salacious past with the world and she wants magazine reporter Monique Grant to do the job. No one is more shocked by this than Monique but she's up for the task. She begins visiting Evelyn at her Upper East Side apartment to learn the details of her life. But of course, the side of Evelyn everyone has been curious about is her love life. It's hard not to be when she's been married seven times. We learn the details of how made her way to Hollywood, the people she got involved with – some for the sole purpose of furthering her career and others more genuinely – and a whole lot of secrets she kept behind closed doors. And I just couldn't bring myself to care? I have no problems with unlikable characters if they feel real and have depth but I found both lacking here with almost all the characters and even the situations they found themselves in (some were just absurd). Every relationship was abusive and destructive and overall I was unimpressed with every direction the story took. Do I recommend? No, which really pains me to say because a new release from TJR is always something I majorly look forward to but this was so disappointing. A camp setting, family playing a major role, a cute sorta-brooding guy, and a love/hate relationship? It's basically all the things I enjoy in a young adult (or new adult) novel. Phoenix and her family have hit a really rough patch. Her parents have been fighting and finances haven't been great. So they decide they should go to a family camp together to regroup and have some fun. Except, Phoenix can't think of anything less fun than sharing a cabin with her mom, dad, and little brother Harry (who she does have a good relationship with; I loved that part!) for an entire summer. Phoenix ends up becoming a counselor at the camp and forced to train with Callum, the head counselor, whose hot and cold behavior are a mystery, and obviously a source of attraction, to her. 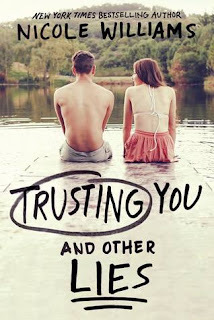 This seemed like a great setup for a summer book to fall in love with but I ended up not enjoying it as much as I hoped. The main "conflict" was both Phoenix and Callum's inability to trust, not just each other but in general too. I understood it up to a certain point but the trust thing got stretched to ridiculous levels of overly angsty. And I don't mind a bit of angst either! But this was much too much. There could've been more focus on how to open up to one another, their family situations or even the camp itself to help level it out but unfortunately, that was not the case. Do I recommend? This is so sad, I'm saying no to two books on this one post! But I have to be honest and this isn't something I'd personally recommend. I feel similarly about Seven Husbands as you know, which makes me very sad too! I really hope that her next book is something I end up liking better.